Title page of the Liber Hymnarius. 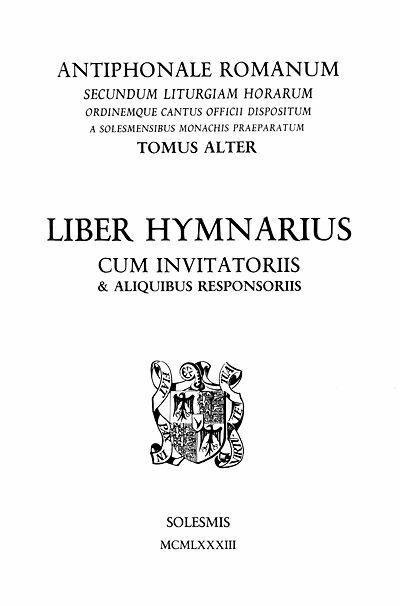 The Liber Hymnarius was published in 1983 by the Abbey of Solesmes, having been approved by the Congregation for Divine Worship and the Discipline of the Sacraments June 24, 1982. It contains the hymns of the Liturgia Horarum, as well as invitatories and some responsories.